Large storage cabinets have fully welded piano hinges. 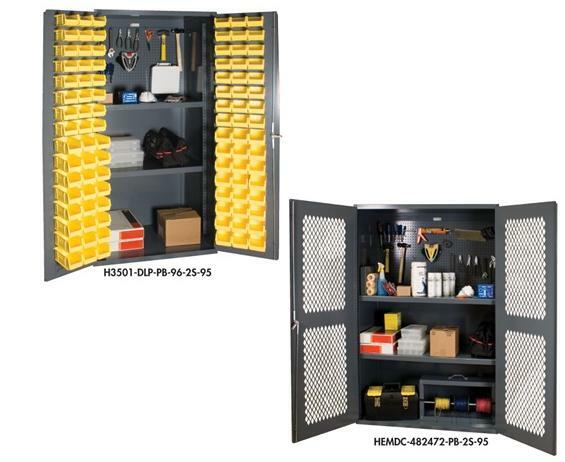 H3501-DLP-PB-96-2S-95 features louvered panels on doors to allow for bin storage of small parts and HEMDC-482472-PB-2S-95 features punched diamond pattern on doors for visibility and ventilation. 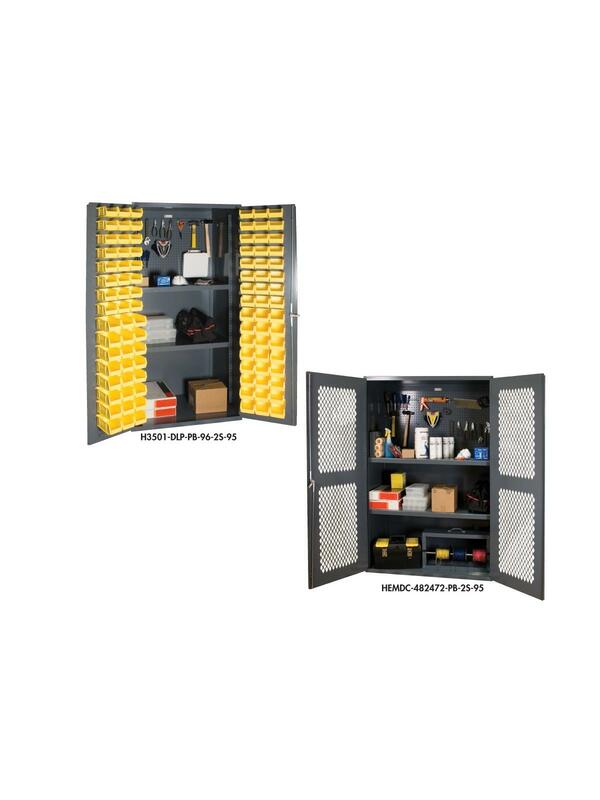 Cabinets have two shelves that adjust on 4" centers - no tools required - and hold up to 700-1250 lbs. (weight evenly distributed) and feature a 3-point locking system with keyed handle and 5/16" dia. lock rods. Available in Gray powder coat finish. Ships fully assembled. FOB Shipping Point.